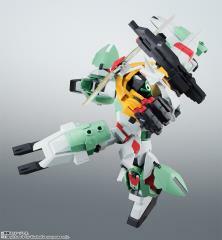 Bandai celebrates 20 years of "Sgt. 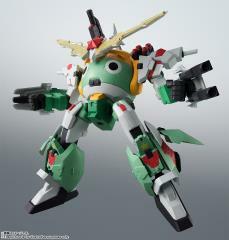 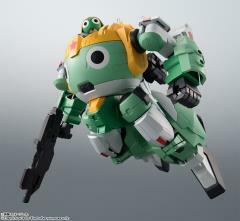 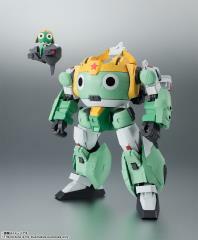 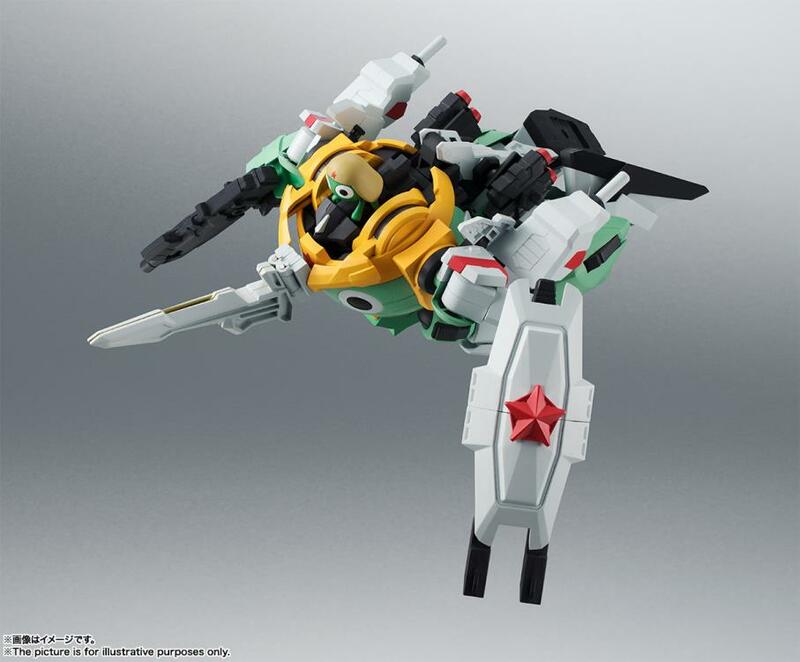 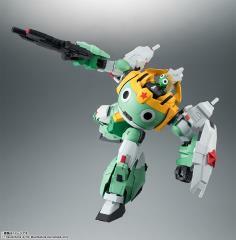 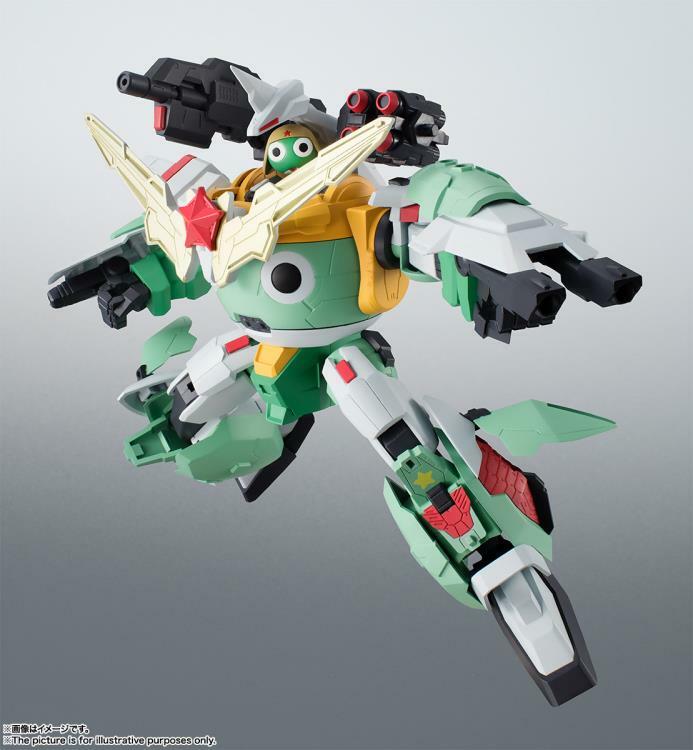 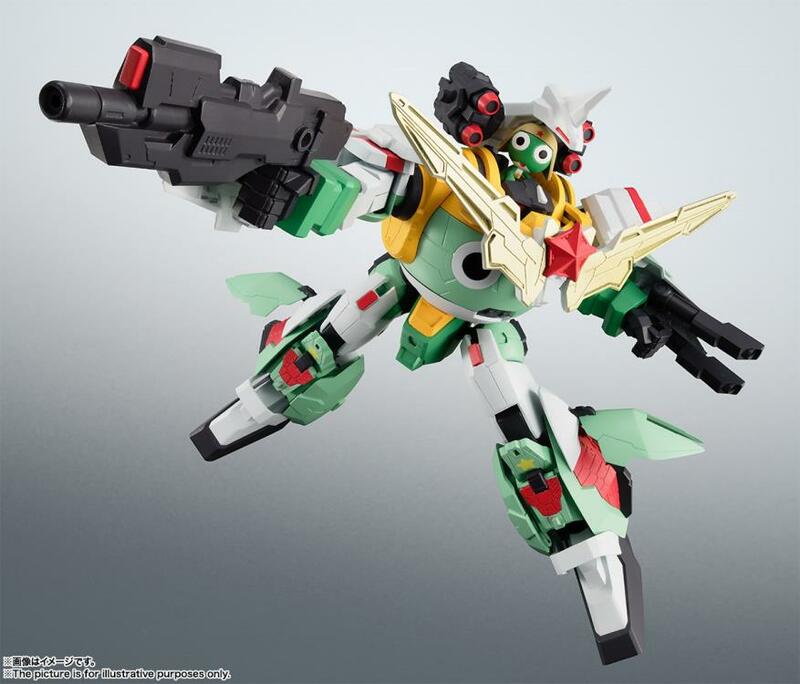 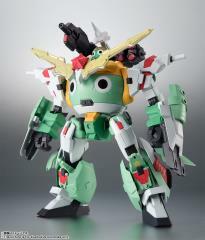 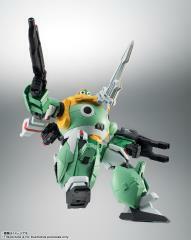 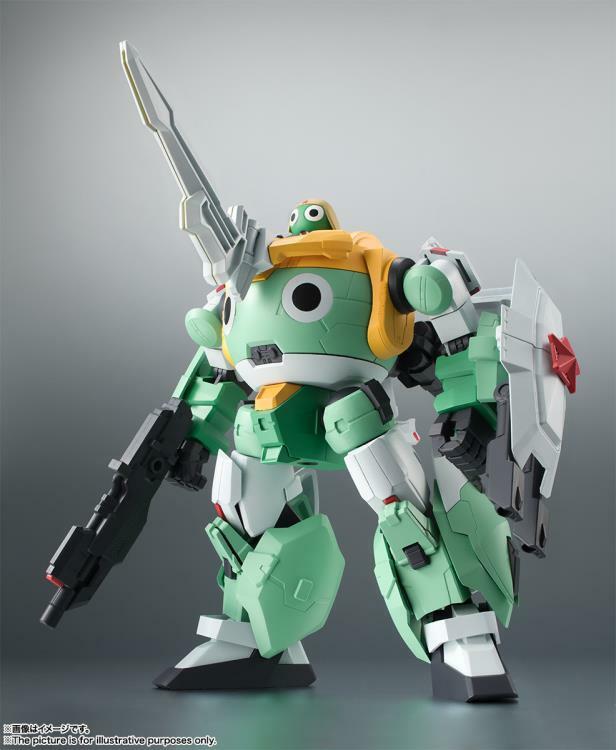 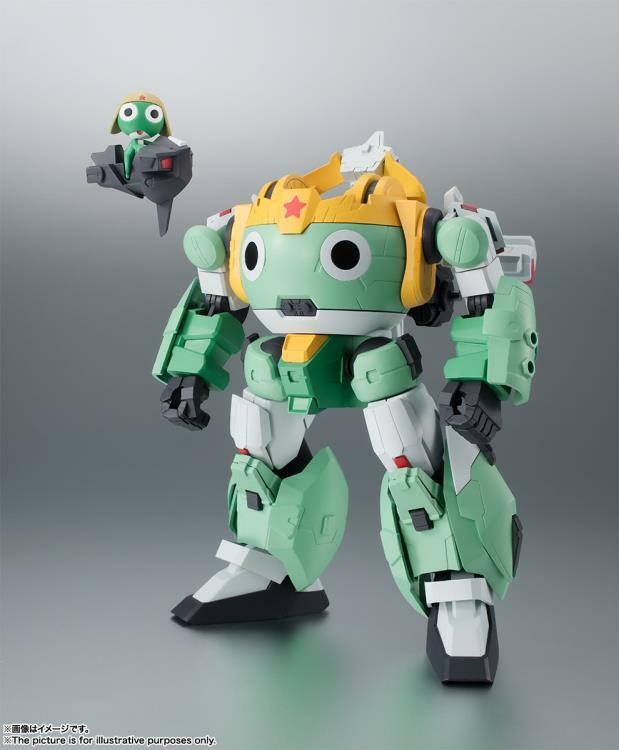 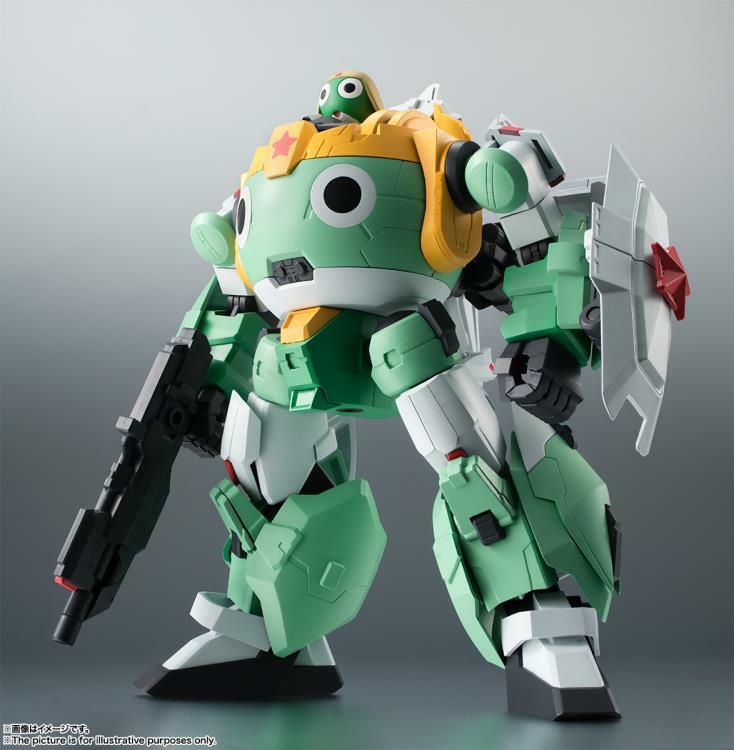 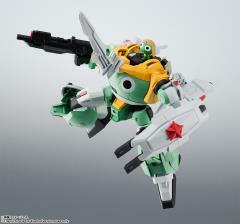 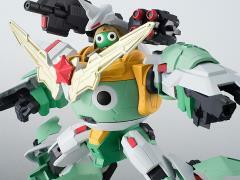 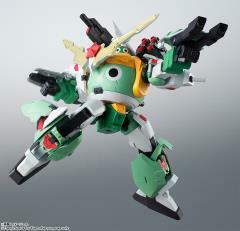 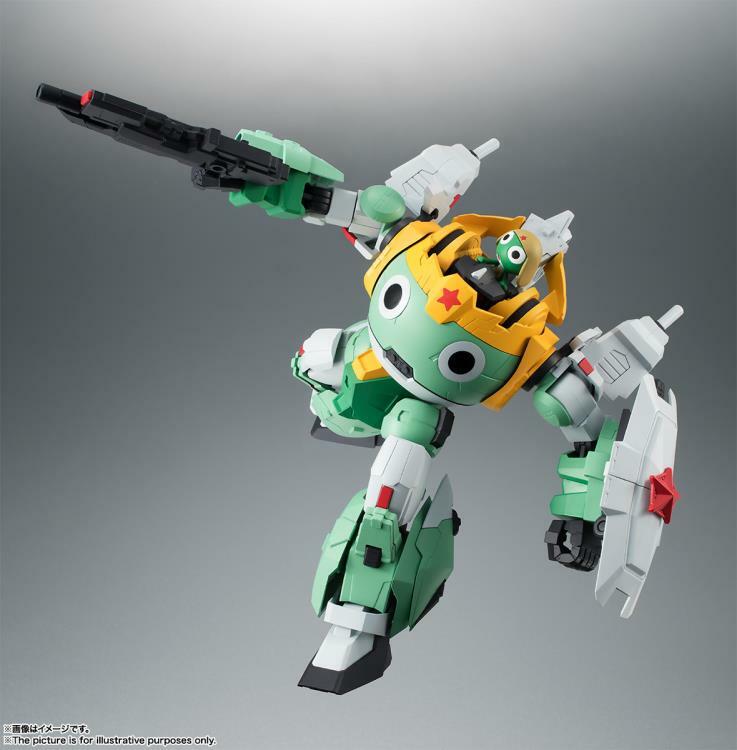 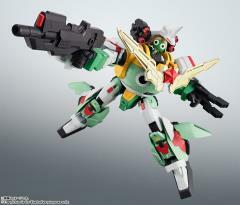 Frog" (Keroro Gunso) with a Damashii action figure of Keroro's personal mecha, Keroro Robo! 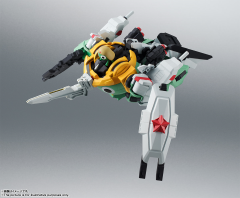 In addition to his normal mode, Keroro Robo comes with parts to recreate Ultra Cool Mode, as well as Dangerous Mode, which features extended knees to make the robo even bigger. A little figure of Sgt. 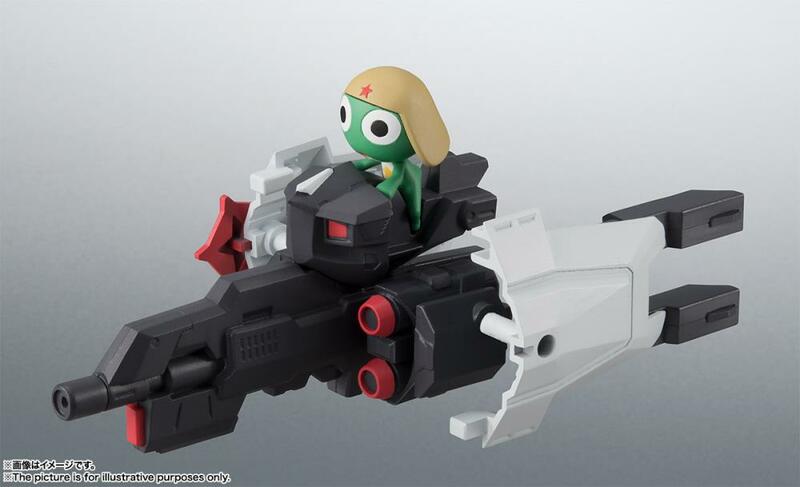 Keroro is included, along with a Flying Saucer for him to ride in when he's not battling in his mecha.